Enough Pie was conceived around the idea of catalyzing community ideas by connecting dots between residents, artists, and businesses. Before Enough Pie launched we held many community meetings throughout the upper peninsula and found that there was no shortage of good ideas coming from the stakeholders. What was missing was infrastructure and funding to activate those ideas. Enough Pie was created to do just that, and the Community Project Grants have become a key piece of our programming. We believe the best ideas for a community come from those most passionate about its future. One project alone may be small, but collectively the projects contribute to the community in perpetuity by building social capital, promoting collaboration and inclusivity, and encouraging creative thinking. 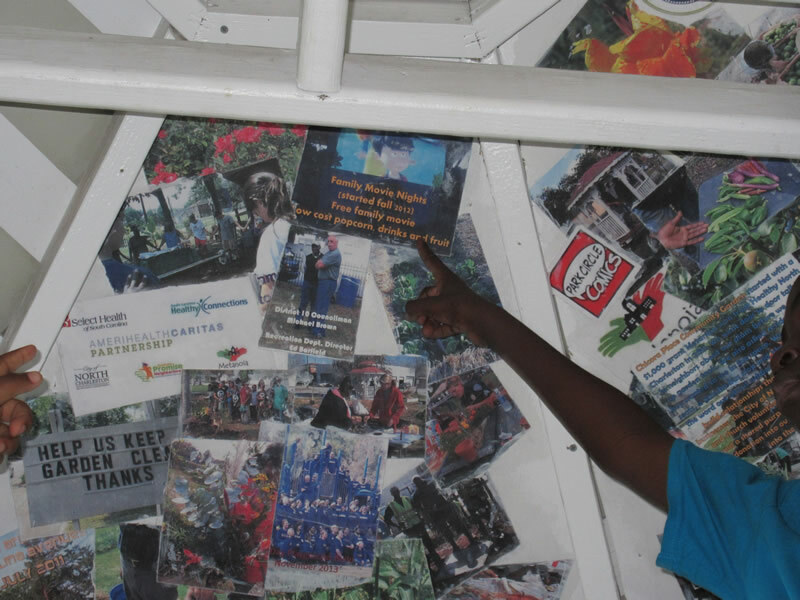 These micro-grants are open to all of Charleston, but the project must directly benefit the communities of the upper peninsula and have art, culture, and creativity as core components. Community Project Grants are open twice a year. 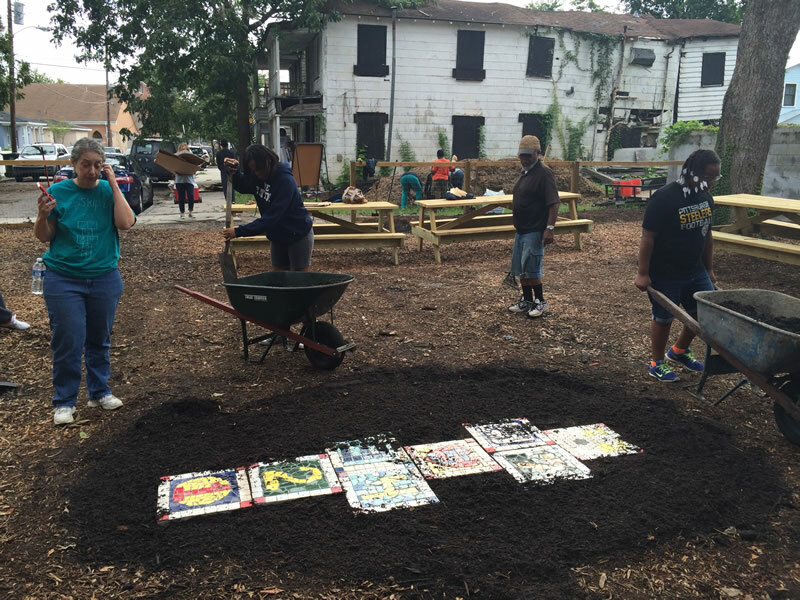 One round has been completed and you can visit the Chicora Place Community Garden Vistagram or the Hop, Skip and a Jump hopscotch board at the Romney Urban Garden to see how your fellow citizen artists created beauty and collaboration in the community. Currently we have two grants in process and will open up for another round of funding in the new year. 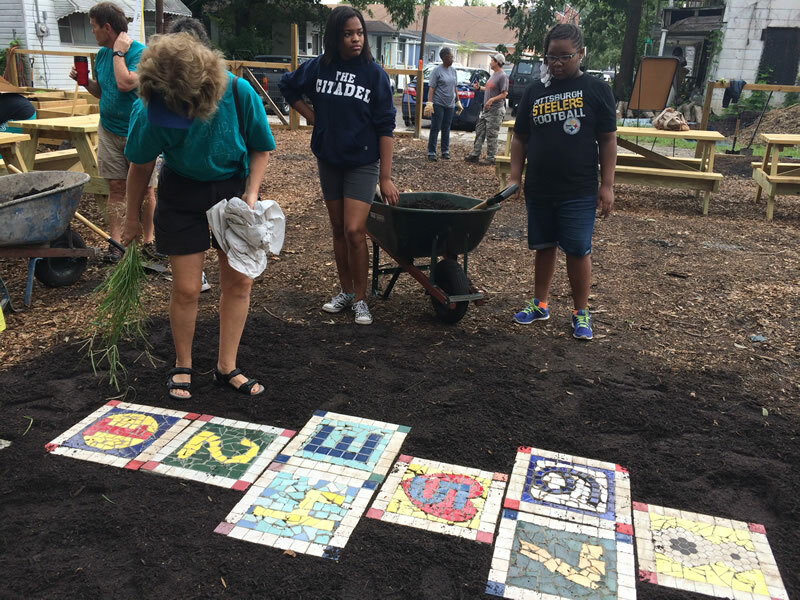 We know there are so many ideas out there where civic needs and creative thought collide to make a community better, but we are continuously trying to reach new people with these grants. We have removed all barriers to entry – it is a very simple application accessed through a granting portal created for Enough Pie by Good Done Great. All ages are welcome to apply. We want good ideas from age 8 to 80! We are considering offering fewer grants at a higher amount and taking a more thematic approach. We would like applicants to envision projects where disciplines connect such as art and education, art and conservation, art and politics. With this interdisciplinary format, we will look to collaborate with other organizations to leverage the impact.